Lá fhéile Pádraig sona dhuit! (lah leh PAH-drig SUN-uh gwitch!) Happy Saint Patrick’s Day to you! During this day of festivities—public parades, wearing of green attire and shamrocks, feasting, and music—March 17th annually marks the celebration of the patron saint of Ireland, Saint Patrick. He was a Christian missionary and bishop in Ireland in the 5th century, and though this date marks the day of his death, it is a celebration of his life and of Ireland itself. Saint Patrick’s Day is an ethnic and national holiday in Ireland, but is observed all over the world by the extended Irish and Catholic community. In the spirit of the holiday, I went looking through our database for books that explore the history of Ireland as well as its culture today. Anglo-Irish Identities serves as a collection of essays that studies the history leading to the identity of early modern Ireland, and then two books from our Contemporary Irish Writers series, Medbh McGuckian and Eavan Boland, lean towards a study of the works of two writers existing in Ireland today. This book presents a series of essays that examine the ideological, personal, and political difficulties faced by the group variously termed the Anglo-Irish, the Protestant Ascendancy, or the English in Ireland, a group that existed in a world of contested ideological, political, and cultural identities. At the root of this conflicted sense of self was an acute awareness among the Anglo-Irish of their liminal position as colonial dominators in Ireland who were viewed as “other” both by the Catholic natives of Ireland and their English kinsmen. The work in this volume is highly interdisciplinary, bringing to bear examination of issues that are historical, literary, economic, and sociological. 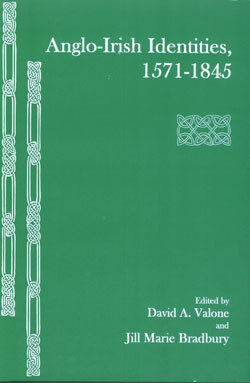 Contributors investigate how individuals experienced the ambiguities and conflicts of identity formation in a colonial society, how writers fought the economic and ideological superiority of the English, how the cooption of Gaelic history and culture was a political strategy for the Anglo-Irish, and how literary texts contributed to the emergence of national consciousness. In seeking to understand and trace the complex process of identity formation in early modern Ireland, the essays in this volume attest to its tenuous, dynamic, and necessarily incomplete nature. This book offers a wide-ranging analysis of the entire corpus of Medbh McGuckian’s published work. Its objective is to provide both a readable synthesis of existing criticism, in a fashion which will be generally useful to academics and students, and also to offer an original contribution to the field of contemporary Irish literary studies on the basis of new research. The book investigates a variety of previously neglected themes, in particular McGuckian’s exploration of ideas of creativity and performativity in her poetry. Over the past two decades McGuckian has been recognized by both her fellow poets and by literary critics as one of the most original, daring and important poetic voices in contemporary Ireland. 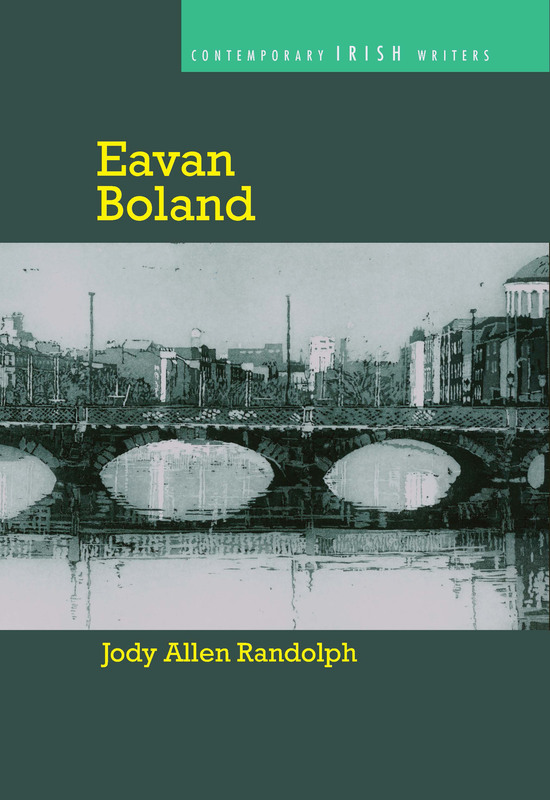 Since 1982 she has published fifteen volumes of poetry, extraordinary not merely for its sustained quality and linguistic and technical virtuosity, but also for its constant evolution and reinvention. This book provides an original perspective on her work both thematically and methodologically. From a thematic perspective, the process of artistic creation is a key preoccupation of McGuckian’s poetry which recurs in every volume of her oeuvre but has previously escaped critical attention. By adapting and refining theories of singularity and creativity, the book allows for a coherent analysis of this central aspect of McGuckian’s work. Methodologically it differs from previous studies in the scope of its approach. Uniquely, it pursues its investigation across the entire breadth of the poet’s published output and emphasizes the thematic unity of individual volumes in the light of the poet’s constant change and development. 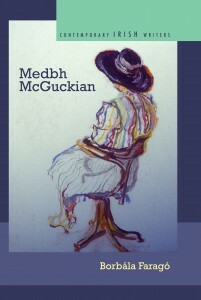 Throughout the book, the reading of McGuckian’s work concentrates on poems in their entirety, an approach which has not figured to any notable degree in the existing secondary literature on the poet, not least because of the perceived difficulty of her writing. A critical investigation, however, which respects both the integrity of the individual poems and the internal coherence of her various volumes allows for a far deeper understanding both of the poet’s thematic preoccupations and of the evolution of her distinctive poetic voice.